Mouser has signed a global distribution agreement with Pimoroni. Through the agreement, Mouser now stocks their accessories for Raspberry Pi, Arduino, and micro:bit boards. The company provides a wide selection of Raspberry Pi accessories, ranging from the Pibow case to a mixture of HATs and pHATs that add virtually unlimited functionality to the Raspberry Pi and Raspberry Pi Zero single-board computers. HAT and pHAT options comprise different LED matrices, musical instruments, gesture detection, and prototyping boards for creating new projects. The company also stocks the Pimoroni Picade PCB, an Arduino-compatible board intended for use in arcade-game projects. The board offers a Microchip ATmega32U4 microcontroller and comes with the Arduino bootloader and Pimoroni software pre-installed. Screw-terminal contacts allow engineers to add a four-direction joystick and up to 12 buttons, plus two 4Ohm speakers driven by the onboard 3W amplifier. 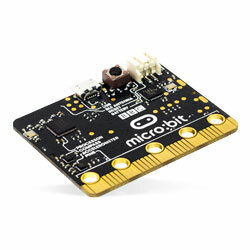 The company’s micro:bit-compatible products comprise of the scroll:bit, pin:bit, and an accessories kit. The scroll:bit is a small display board with 119 bright white LEDs for scrolling text, animations, and graphs. The pin:bit is a small breadboard extension for prototyping new circuits. The micro:bit accessories kit comprise of a switchable AAA battery pack and micro-USB cable for getting started with the device.